This class is sure to have you looking at all those stencils you've collected over the years in a whole new way! 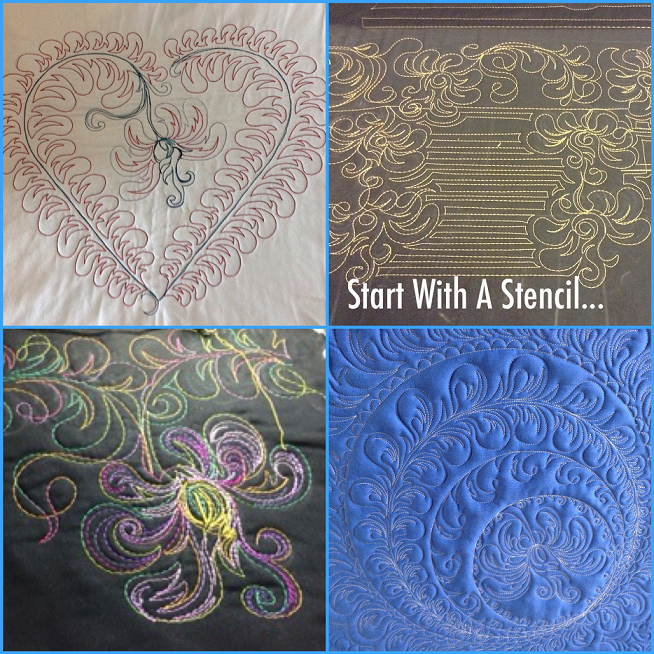 Sue will show you how to take one simple stencil and create dozens of designs with it. The designs will be created to fill every area of the quilt, blocks, borders, sashings and background fillers. This class will also use simple drawing tools in a variety of shapes and sizes, and show you how to create your own reusable stencils using a wide range of ideas and inspirations found all around you every day! If you have ever been stuck on what to quilt on those finished tops quickly and easily then this is the class for you. Come join sue as she explores and answers the age-old question.. "How do I quilt this?" with her quick and easy stencil solutions. This is a domestic machine class! Each student will receive a pre-marked quilt sandwhich for their class stitch outs.